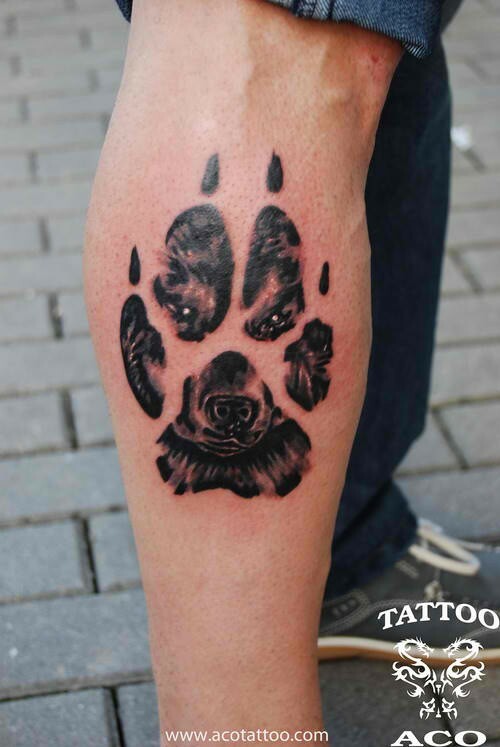 Paw print tattoos can be the simplest tattoos out there but they can carry very deep meanings. 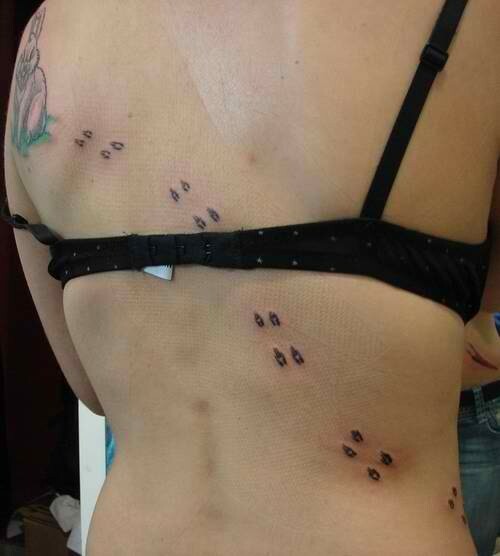 Some paw print tattoos mean commemorating a pet, power, moving forward and some, to symbolize their children. And although it is very minimalist, when put in the right position in the body, can look very elegant and complimentary to the skin. 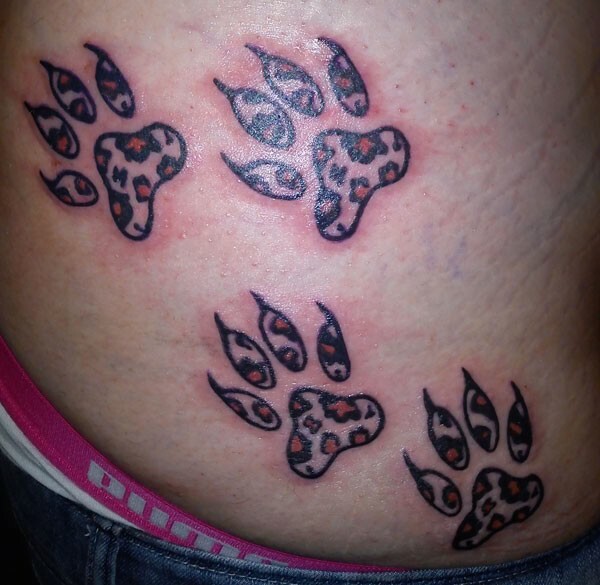 Here are ten unique tattoos of paw prints you may want to get inspiration from. Rabbits are the symbol of fertility as they are known to reproduce very fast. Hence, this is perfect for the ladies but nonetheless, good for males as well. Some people would get inked with a series of rabbit paws while other would have them together with the rabbit’s head. 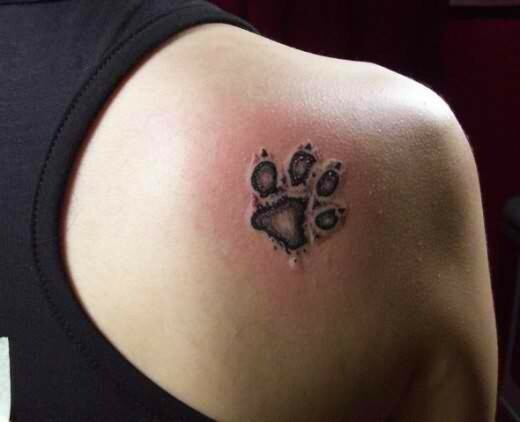 Dogs are indeed the most popular pets in the world and also the most favorite animal paw prints to be inked on the skin. Since dogs often symbolize playfulness, companionship and friendliness, most dog owners feel the need to have their pet’s paws tattooed on their skin. Some tattoos include even the name of their pet and sometimes, even the face or silhouette of their dogs. Although lions came from the family of cats, they very much differ especially in size. The same goes when it comes to making their paws tattooed on your skin. People would have this on their skin to show braveness and patience which the lion perfectly symbolizes. If you are thinking of having a lion paw inked on your skin, make sure to include paws just to make sure it does look like a cat’s paw. 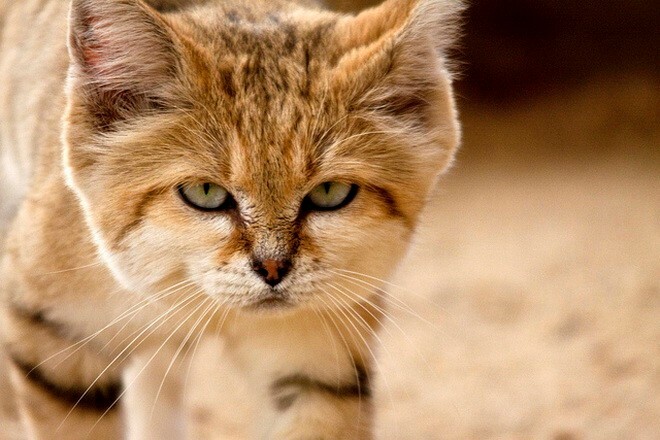 Cats are another animal we commonly see everyday. Some people would pet cats because of their loyalty and charm. Some pet owners would have cat’s paw tattooed on their skin just to show how much they lover their pets. 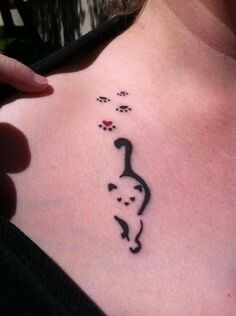 You can very much play around with other distinct cat features such as their whiskers and include it in your tattoo. Wolves have this reputation of being fearless and strong. 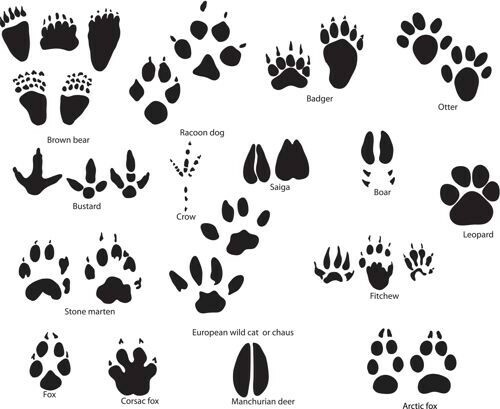 That is why it is very common for its paws to be inked on the skin of those people who wanted to show that they have the same character. 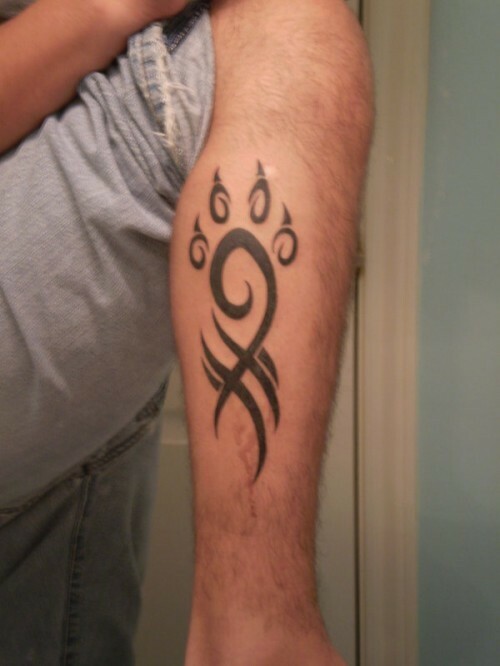 To be more distinct, most people prefer to include wolf’s claws in their tattoo. One great design having a series of wolf paws around its head. 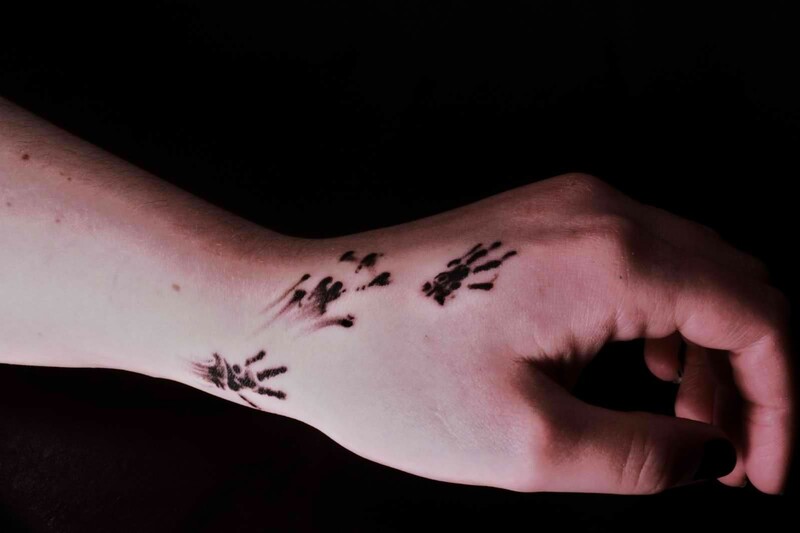 Although most people hate rats, there are some people that find rats’ paw print amusing enough to be tattooed on their skin. Rat symbolizes wisdom and this is a great choice if you want to express the same. Since rat’s paws are very small, it can fit anywhere in the body. This is also perfect for those who do not want to flaunt their tattoos. Cheetahs symbolize speed, agility and strength. That is why some people have their paws inked on their skin, especially those in the fields of athletics. 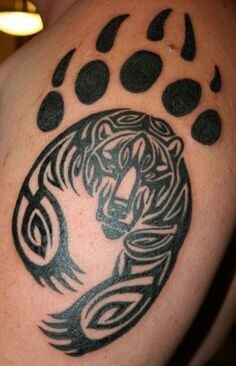 To add more creativity into the cheetah paw print, some people would add other symbols of speed together with it. 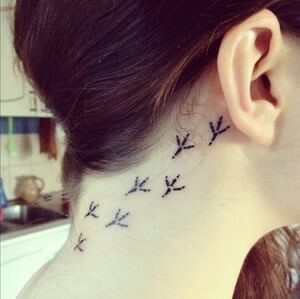 Birds are also one of the most common animals we can see on people’s skin. This is because they symbolize a lot of things such as freedom and journey. Some people would arrange them into a heart while others include the beak with the paw for their tattoo. Foxes symbolize strategy, wisdom, cleverness and thinking outside the box. And so if you possess the same abilities then getting a fox paw inked on your skin is definitely a great decision. You may also want to the silhouette of a fox printed underneath a big paw. Not the superhero Wolverine but the real, animal Wolverine. Wolverines are unpredictable, energetic and wild. Also, they symbolize determination and ferocity. This is something that you want to get tattooed on your skin if you want to remind of yourself that you need to possess the same qualities. 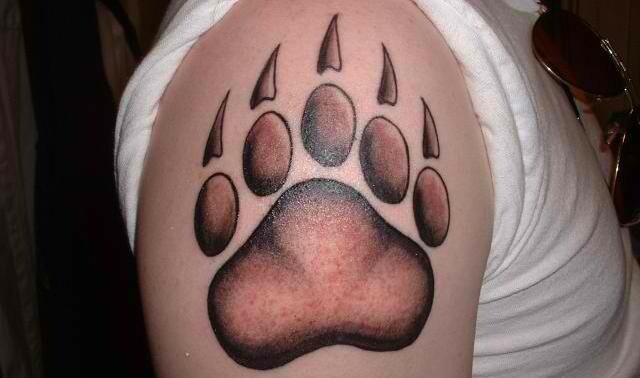 The best thing about a paw print tattoo is the fact that it can be inked in almost every part of the body. The common ones include the area near the ear, neck, foot, arm and shoulders. They also perfect for both men and women.